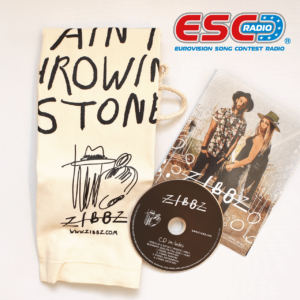 Time to announce the winners in our Zibbz promo pack + ESC Radio funglasses competition. Last week we asked you to name us the year and the title of Lys Assia’s Eurovision entry that narrowly missed winning the contest. The correct answer is Giorgio which came second in 1958. And these are the five winners: Brechtsje Meekma (The Netherlands), Willi Stockhammer (Austria), Arianna Vink (Canada), Márk Virágh (Hungary), and Zeynep Erkin (Turkey). Congratulations! The promo pack + funglasses will be sent out the next days. Better luck next time for those who did not win, new competitions soon to come! Lys Assia, Switzerland’ winner of the first ever Eurovision Song Contest in 1956, has sadly passed away in March. Lys participated three times in the contest, and on one occasion she narrowly missed a second win, coming second. 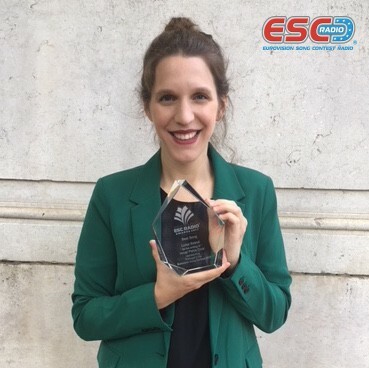 Name us the year and the title of the song and send in your answer to competition@escradio.com along with your full name and postal address by Tuesday 10 July at 23:59 CEST. And don’t forget to mention which colour of our funglasses you would like, blue or red. The names of the five lucky winners will be revealed here on our website. Good luck! Time to reveal the winners in our Inje CD-single competition. 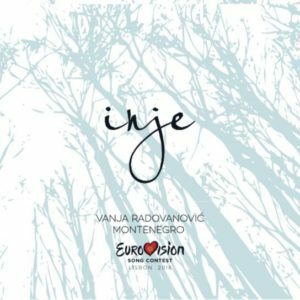 We asked you to name the Montenegrin ESC entry that was not written by songwriters from the Balkans. The correct answer is: Just Get Out Of My Life, performed by Andrea Demirović in the 2009 Contest in Moscow. The song was written by the team of Ralph Siegel and Bernd Meinunger (Germany) with additional lyrics from José Juan Santana Rodríguez (Spain). And these are the winners: Gun Bernhardsson (Sweden), Dylan Mariën (Belgium) and Alexander Eberle (Germany). Congratulations! The CDs + funglasses will be sent out the next days. Better luck next time for those who did not win, a new competition soon to come! Since Montenegro’s debut in the Eurovision Song Contest in 2007, on one occasion the country entered a song that was not written by Montenegrin or Balkan composers. Name us the entry (artist, song title) and send your answer to competition@escradio.com along with your full name and postal address by Sunday 1 July at 23:59 CEST. And don’t forget to mention which colour of our funglasses you would like, blue or red. The names of the three lucky winners will be revealed here on our website. Good luck! In last weekend’s competition to win a copy of the promotional CD single of Elina Nechayeva’s Eurovision entry La Forza plus ESC Radio funglasses, we asked you to name “the other Estonian entry that was not performed in Estonian or English language”. Actually we made a little mistake there – as some of you noticed 😉 -, since there were two other entries: in 2004 Tii, performed by Neiokõsõ in the Võro language, and in 2008 Leto Svet, performed by the comedy group Kreisiraadio in Serbian, with bits of German and Finnish. So BOTH answers were accepted! And the three winners are: Mauro Marques Canhão Filho (Portugal), Anthony Ko (United Kingdom) and Rafał Szary (Poland), congratulations! Better luck next time for those who did not win, we will have more competitions.